We were privileged to have the opportunity to photograph the Mayflower during a bridal show that they hosted so we thought we would take the opportunity to do a venue review. Immediately after its opening in 1925, the Mayflower Hotel was known as the “Grande Dame of Washington, D.C.,” boasting more gold than any other building in the country except for the Library of Congress. Just four blocks from the White House, this grand, historic hotel remains not only a place to make history but to absorb it; throughout the last 80 years the hotel has hosted events that have changed the course of human affairs. Walking into the Mayflower is like walking into a dream. The chandeliers, the general opulence of each room begs for you to stay longer. 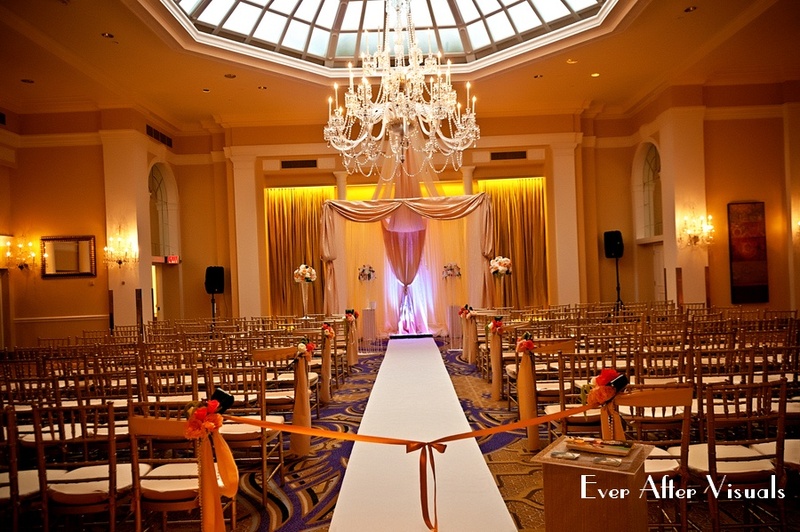 We absolutely agree with this description: From historic architecture to lavish décor and opulent ballrooms, The Mayflower® Renaissance® Washington, DC Hotel is truly a Grand Hotel fit for the most exquisite of storybook wedding events. Royal amenities await your wedding guests – from valet parking to luxurious guestrooms. One of our past brides, Eneida, requested an after session at the Mayflower and the staff there was quick to give their permission and accommodate us. 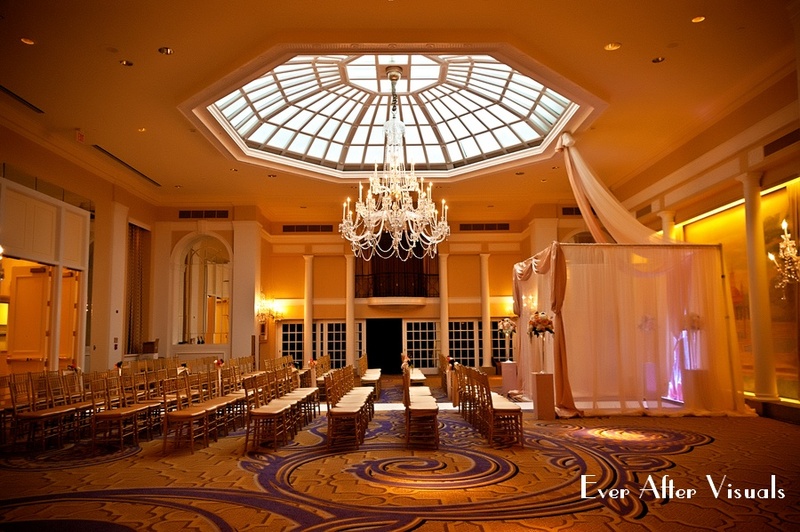 The Mayflower Ballrooms are some of the most unique in Washington. 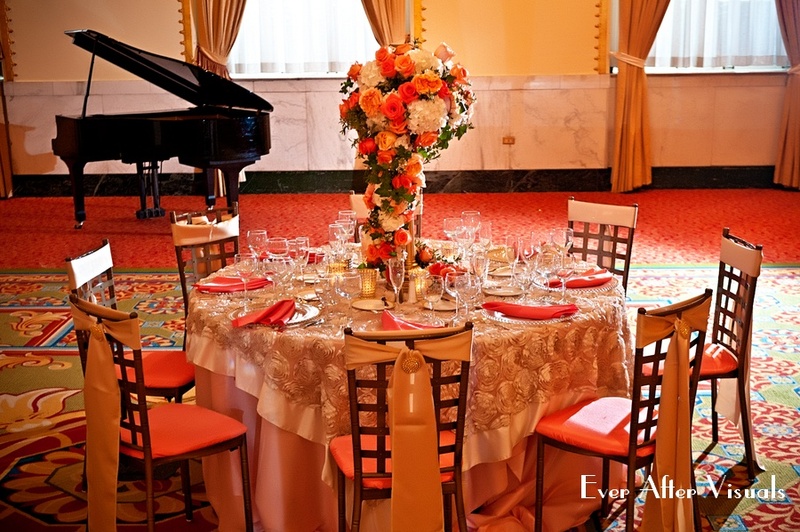 Each ballroom is different and each offers a mystique and elegance like no other. Each ballroom also tells stories of histories past. Many notable figures have graced their hotel. But there’s so much more than just the Hotel’s outer appearance that we love. I’ve always said, what separates a mediocre hotel from an extraordinary one, are the staff. And the staff at The Mayflower are absolutely incredible! Everyone is not only very informative and helpful – they go beyond just being polite. They are warm, friendly and really make you feel like you’ve come home. And we know why. It’s because everyone at the Mayflower understands brides and is dedicated to providing each with exquisite service. We spent some time with Cliff, Ron and Jimmy a few days before the bridal show and got to hear their plans for the event. 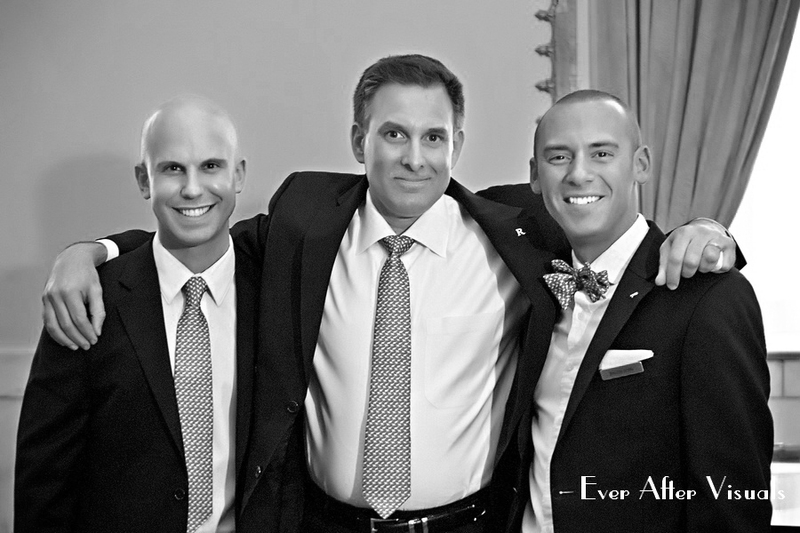 Ron, Cliff and James are will make you feel welcome at the Mayflower, D.C.
Bergerons at the Mayflower is the on-site, exclusive Floral Design team adds to a no-stress experience by working with brides to create unique, elegant, and contemporary floral designs and will deliver floral items to the Church or ceremony venue. The Mayflower experience provides a unique elegance that will ensure your dreams will indeed become a reality.